Professional Offices, 2nd Floor, Left at top of stairs. Lynn has prepared young students for RCM Rudiments and History Examinations for over 25 years. Her enthusiastic method blends DVDs and videos with insightful, lively commentary about composers and their works. Her textbooks include Bach to Bernstein, Bingen to Beethoven and Mendelssohn to Messiaen as well as Rudiments of Music, co-authored with Peter Ware. Lynn strives towards classes of interactivity and discovery balanced with genuine affection, humour and high expectations. Students often achieve grades 90-100%. Peter began his academic career on the faculty at Queen's, Brock and Northern Kentucky Universities. He has been preparing students for RCM examinations in Rudiments, Harmony, Counterpoint and Analysis for over 25 years. He offers students an unparalleled knowledge and enthusiasm for the internal workings of music. His theory textbooks include volumes 1, 2, and 3 of Harmony in the Spheres of Music, Counterpoint and Analysis of the Spheres. His books add clarity and consistency with step-by-step instructions to practice sheets, allowing students to acquire skills as required by RCM the theory syllabus. Enter the professional offices through the glass door left of Beckers. Turn left at the top of the stairs. 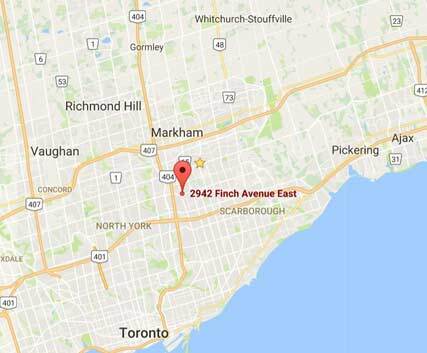 There is easy access from 407, 404 & 401. Many of our dedicated specialist teachers rely on public transit, which is limited in Markham. Our new location is 10 minutes from our previous Market Village location. As schools move further north, be aware that teacher quality diminishes. We appreciate your continued support and hope you will value our teacher'sr expertise.. The mall has ample parking and a McDonalds. 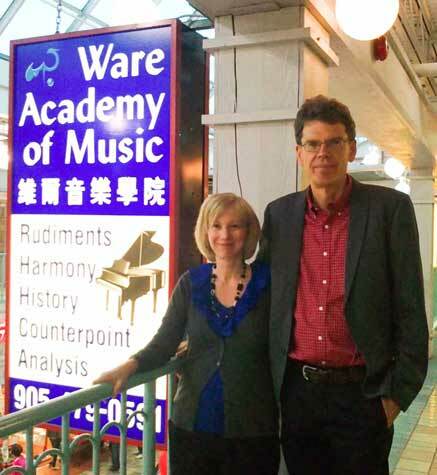 Thank you for your support, Peter, Lynn, and teachers at Ware Music.